Primex Mortgage Corporation is the Rockville, Maryland mortgage broker you can rely on for cost-efficient home loans. We have been exceeding the expectations of discerning clients in this area since 1991, and this level of experience in this particular area is a great asset to have on your side. Our mortgage brokers are in this business because they sincerely want to make home ownership dreams come true, and it is quite gratifying to make positive things happen for our clients. This Montgomery County city is a great place to live in its own right, and there is easy access to everything that the Baltimore/Washington metropolitan area has to offer. An investment in local real estate is a very strong move, and we can help you get the financing you need in a quick and hassle-free manner. If you are interested in a mortgage for a home in Lakewood Estates, Glenora Hills, Potomac Woods, Falls Orchard, or any other part of Rockville, Maryland, a top-notch mortgage broker will always be a call or click away. If you contact a single mortgage lender to obtain a conventional home loan, you are going to receive one rigid decision. In a very real sense, you are going forward with blinders on. Things are entirely different when you team up with Primex Mortgage Corporation. We can obtain Rockville, Maryland home loans from a number of different high-quality lenders, so you can weigh all of your options and choose the company that is offering the most favorable terms. 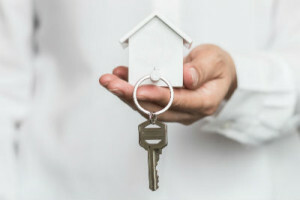 FHA loans can be the right choice for many people, and these home loans provide some significant advantages over conventional loans. The credit score requirements are not as stringent, and you can potentially get approved for an FHA loan with a small 3.5 percent down payment if your credit score is at least 580. You can still obtain this type of mortgage if you have a credit score of 500 or higher and a down payment of 10 percent or more. 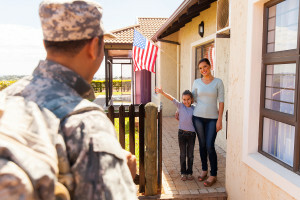 Veterans and members of the armed services that are currently serving can potentially qualify for VA home loans in Rockville, Maryland. With this type of loan, there is no down payment required, and even the closing costs can sometimes be folded into the monthly mortgage payments. We are here to help if you are ready to take action. You can reach one of our Rockville, Maryland mortgage specialists by phone at 301-468-5600, and you can alternately initiate the process online right now.